SALEM — Up to $8 million in Oregon tax credits are now available for alternative fuel transportation projects. 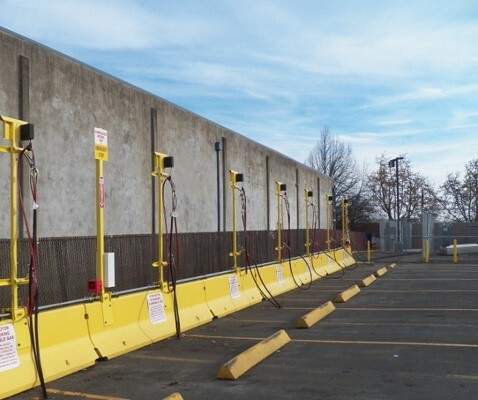 This week, the Oregon Department of Energy announced that $5 million will be on hand for alternative fuel vehicle infrastructure projects and another $3 million in opportunities for alternative fuel vehicle fleets. Each two-year biennium, ODOE allocates $20 million for transportation-related energy projects. These opportunity announcements are part of a larger state effort to support cleaner-burning fuels, reducing emissions, and improving air quality. Applications are encouraged from Oregon businesses, nonprofits, and public entities. Applications for Alternative Fuel Vehicle Infrastructure Projects will be taken through Dec. 31, 2015, but may close sooner if the available funds are allocated prior to the closing date. Types of projects that would qualify include a facility for mixing, storing, compressing or dispensing fuels for alternative fuel vehicles, and charging stations. Similarly, applications for Alternative Fuel Vehicle Fleet Projects will be accepted through March 31, 2016, but again may close sooner if the available funds are allocated prior to the closing date. Types of projects that would qualify include the replacement of at least two existing fleet vehicles with new or converted vehicles that use alternative fuels. For more information and to access the applications, please visit ODOE online. On August 13, ODOE will begin taking tax credit applications for transit services projects. Up to $4 million in credits will be available for these projects.